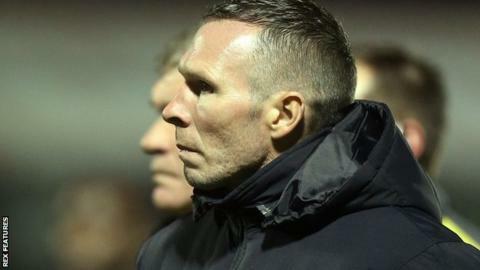 Oxford boss Michael Appleton is looking forward to focusing on league football after a week of successive cup games. After drawing at Braintree in the FA Cup on Sunday, the U's beat Dagenham on Wednesday to reach the area semi-finals of the Football League Trophy. Oxford have a short turnaround before they face Cambridge United on Saturday. "With playing one game on Sunday followed by a Wednesday, we'll only have one day to prepare for Saturday," Appleton told BBC Radio Oxford. Second-placed Oxford host Cambridge as they return to League Two action and will meet Braintree again on Tuesday in their FA Cup first round replay. "It's been a couple of weeks of cup games," Appleton added. "Coming back to league games will be a case of refocusing. "It's a home game, another big one for us and hopefully we can put in a similar sort of performance to the win we had at Stevenage in our last league game." Goals from Patrick Hoban and Alex MacDonald in the opening stages of either half saw Oxford to a 2-0 win against Dagenham. The draw for the area semi-finals takes place on Saturday.